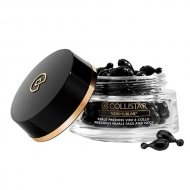 Reduces wrinkles and signs of fatigue. 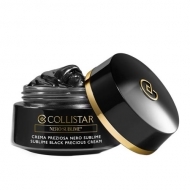 DESCRIPTION: Sublime Black Precious Mask from Collistar is a youth-activating mask with black consistency for a light effect. 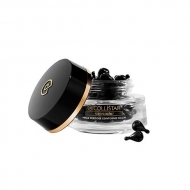 It has a regenerating, repairing and detoxifying action combined with Black Clay and Bamboo Charcoal which have specific properties of purification and absorption. 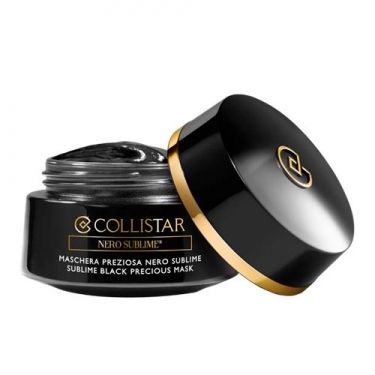 With a rich and creamy texture has two immediate effects: It purifies and detoxifies the skin removing all impurities and dead cells from the pores promoting oxygenation and renewal of the skin; Increases the luminosity of the skin leaving the face sublime with a radiant light effect. 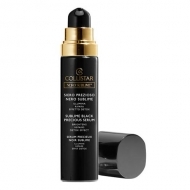 Composed of Black Orchid extract that protects and moisturizes the face, White Gardener stem cells that whiten and revitalize and Black Pearl hydrolyzed with the advanced Collrepair, a unique and innovative complex that repairs and detoxifies the outer layer of the skin as well as the inner layer and Carnosine, an ingredient that has a potent antioxidant, detoxifying and repairing effect. Apply evenly on face, avoiding eye area. Massage gently for a few seconds and allow to act for 5 minutes. Remove using a tissue and rinse with warm water.